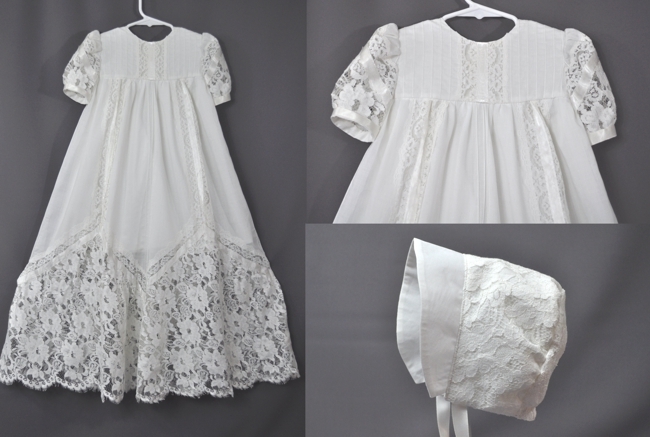 Wendy sent her gown to have a custom christening gown and bonnet made from it. Her gown was made of cotton with pretty lace and pin pleats. We tried to keep as much of the original skirt lace as possible. OMG! It is absolutely gorgeus!!!!!!! It is more beautiful than I imagined. Thank you so much.